In the last article, we have seen the application of Synchro as a position transducer. 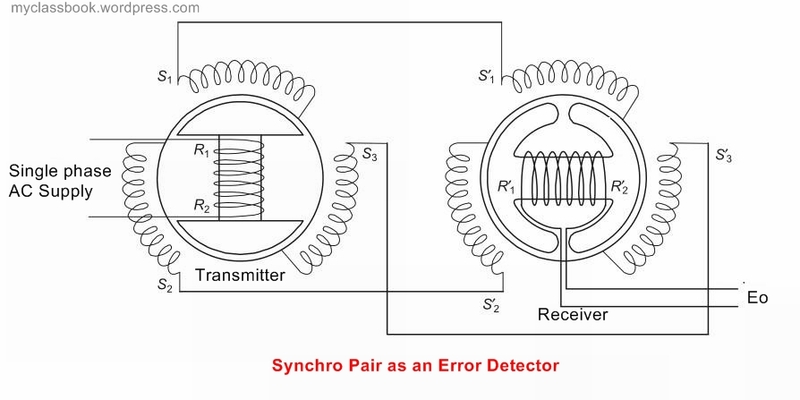 We can also use the pair of Synchro pair as an error detector. Here error means the output voltage which depends upon the difference between the angular positions of two rotors of synchro pair. As the name indicates, it uses two synchros. First synchro is called as synchro generator (or transmitter) and second synchro is called as control transformer (or receiver). Synchro generator has dumb-bell shaped (salient pole) rotor whereas control transformer contains umbrella shaped rotor. For ease of understanding consider that initially two rotors as perpendicular to each other. When single phase AC supply is applied to the rotor of synchro generator an alternating flux is generated in the rotor and the empty space between rotor and stator. The stator has three windings, one end of each winding is connected in the star connection and ends are connected to the three ends of the stator of control transformer. Remaining three ends of the control transformer are also connected in star fashion. As alternating flux is generated in the rotor of generator it produces statically induced emf in the stator windings. 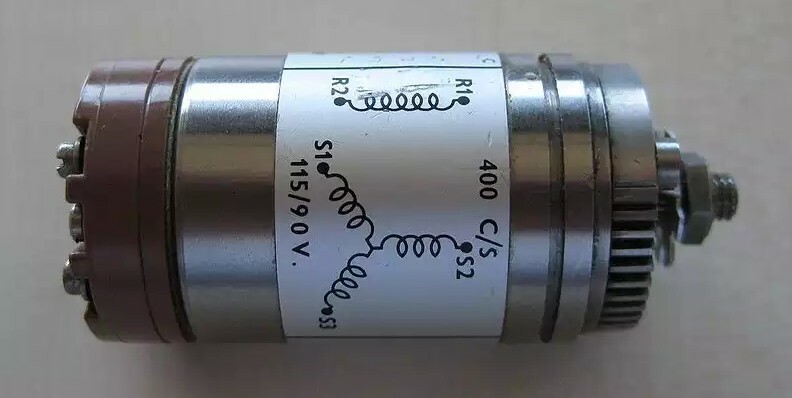 As these windings are connected to the three windings of the stator of the control transformer same current flows through it. Initially, the flux axis of both the rotors are perpendicular so that the output voltage (E0) will be zero because it depends upon cos (θ-a). Where θ is angular position of first rotor and a is angular position of the second rotor. Above equation gives the value of error voltage. Thus the synchro pair can be used as an error detector. If you like this article about Synchro pair as an Error Detector, please share it with your friends and like or facebook page for future updates. Subscribe to our newsletter to get notifications about our updates via email. If you have any queries, feel free to ask in the comments section below. Have a nice day!